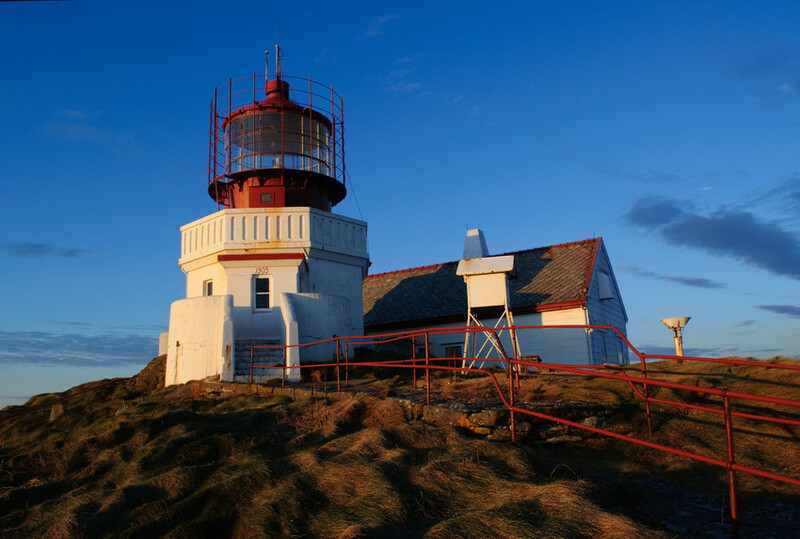 The remote island of Svinøy lies north of the rough stretch of ocean round the often stormy Stad headland and provides seafarers with their first landfall. From days of old, it was known as Landegode (Good land). The National Lighthouse Commission of 1851 considered erecting a lighthouse, but due to the really exposed location decided not to build here. 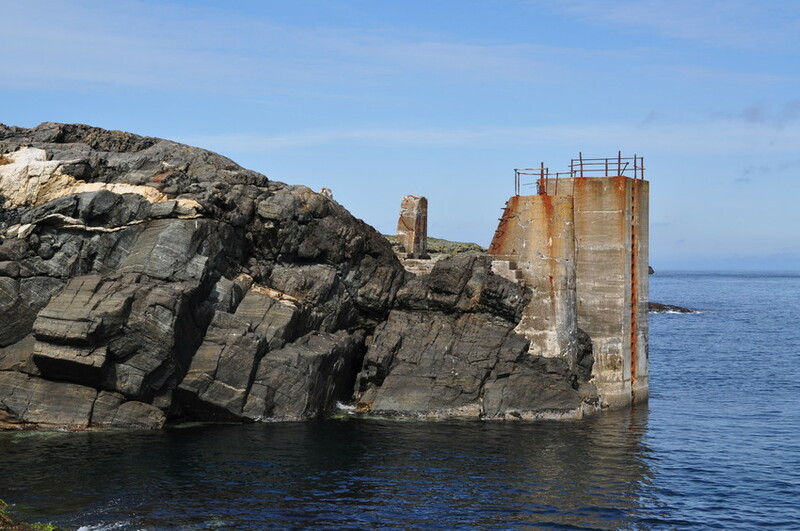 In 1856 an 8 m tall cairn was built on the island, serving as a daymark. 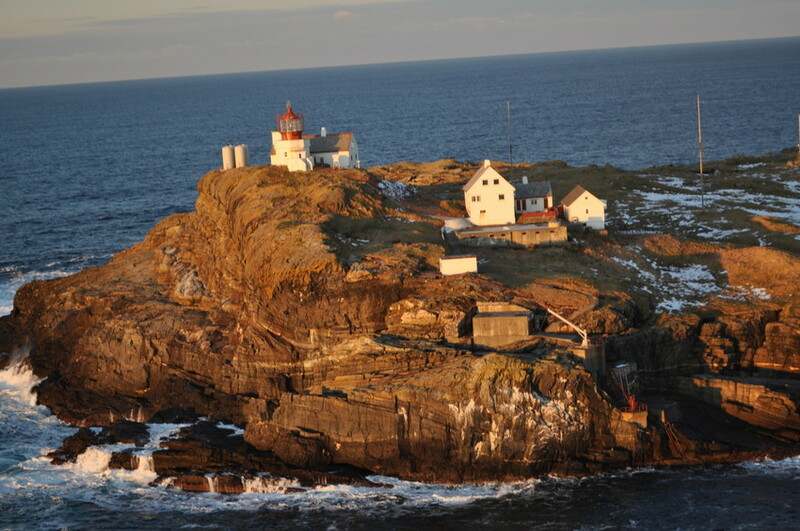 In 1903 Ole Martin Mork from Dalsfjord began the construction of a lighthouse. He had a crew of five, plus a cook. To begin with, they had to live in a tent. 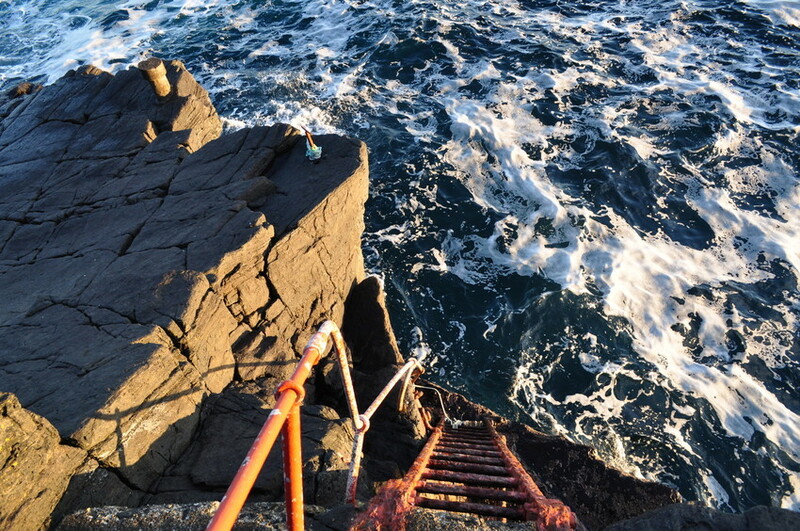 The landing had to be organised using vertical ladders and steps. 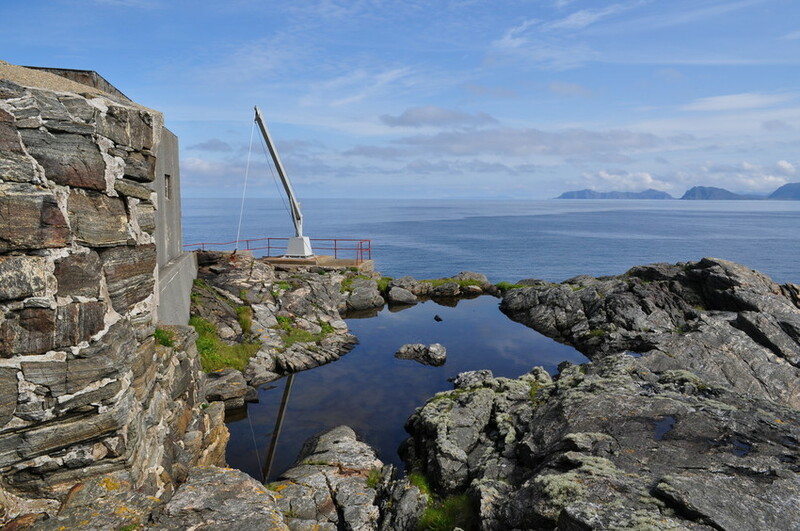 The boathouse had to be built 18 m above sea level. Two cranes were needed to lift the boats up to the boathouse. As early as 1912 the boathouse was crushed by waves and a new one had to be constructed in concrete. 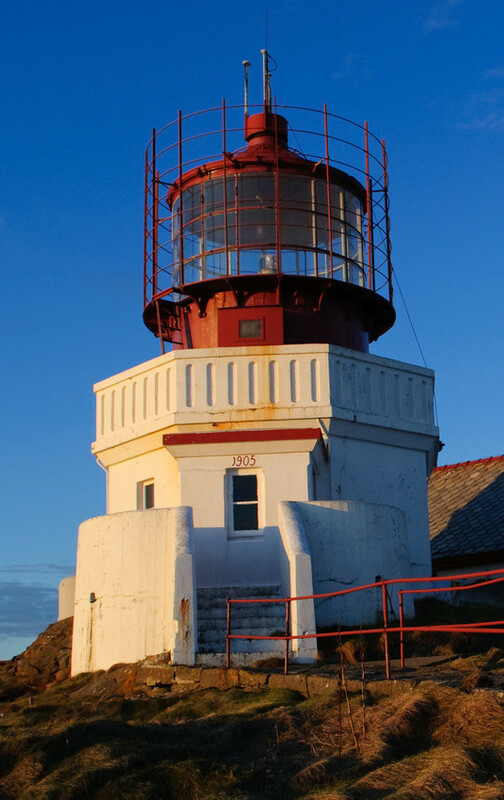 The lighthouse was completed in 1905 with a 2nd order lens from Paris. The keeper’s dwelling had room for 3 keepers. In 1938 a diaphone foghorn was installed and a machine shed was constructed to house engines, aggregates and compressors. A new dwelling for the keeper was also built. 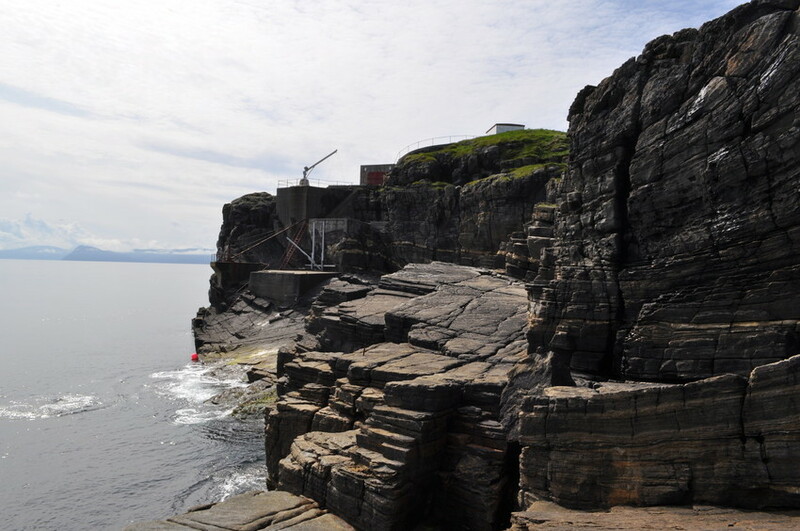 During World War II the lighthouse was occupied by German military personnel. 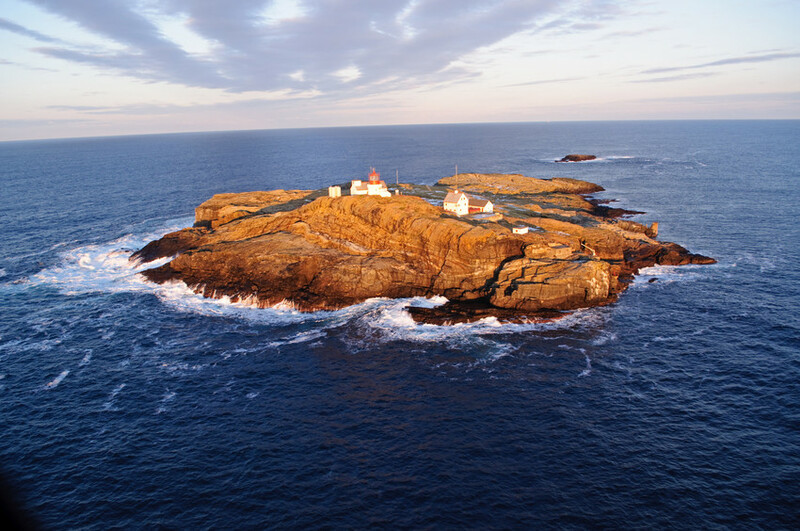 The lighthouse was bombed on 18 October 1940 and later damaged by shots from an allied plane. 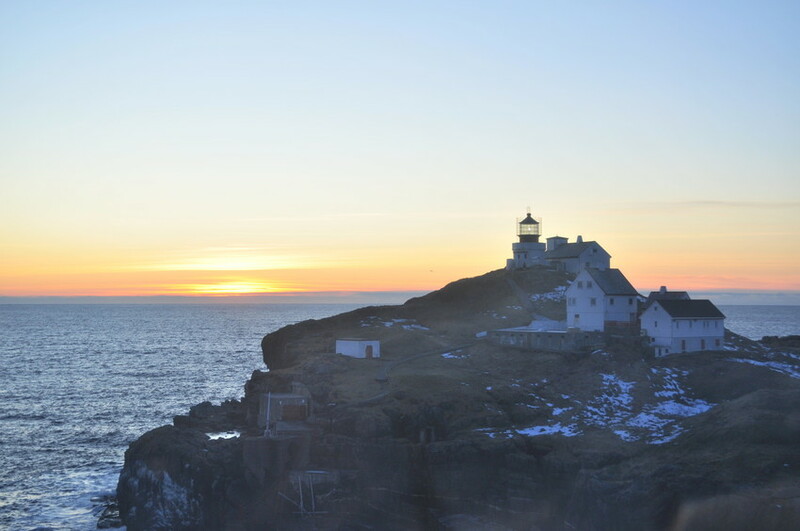 The lantern was lit again 1 February 1946 and a radio beacon became operational the same year. 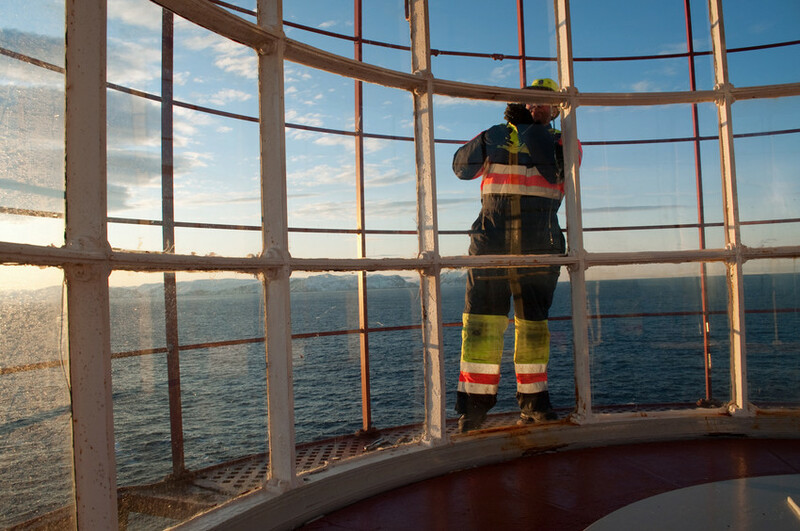 In 1952 no-one applied for the vacant position as keeper, and the decision was therefore made to make the lighthouse a shift station. Due to the difficult weather conditions, a helicopter was introduced as means of transport in 1970. 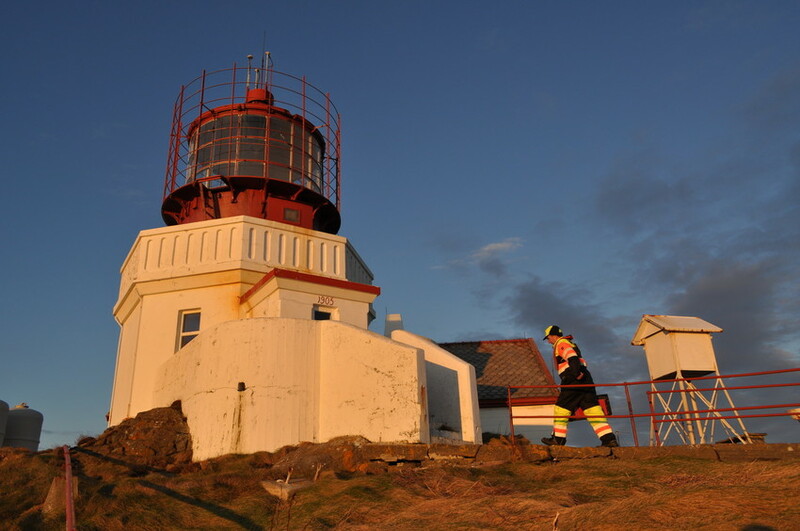 The lighthouse was de-manned and automated in 2005 after 100 years in operation. 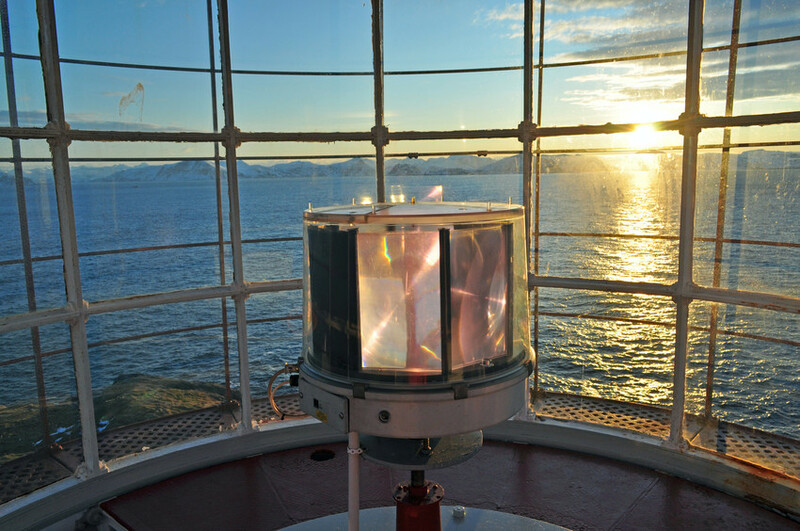 The lens from Paris is on display at Dalsfjord Museum of Lighthouses. Ole Martin Mork var arbeidsformann ved bygginga av Svinøy fyr i 1903-05. I 1908-09 bygte Mork og mannskapet hans Sula fyr. Sula, Ytterholmen og Litløy fyr er bygt i tilsvarande arkitektonisk stil. Landinga på Svinøy består av bratte stigar og trapper. Naustet og øvste kran på Svinøy. Folk, båtar og dyr måtte heisast 18 m opp med to kraner. Landinga på Svinøy er så utilgjengelig at sjølv i godt ver kan ein vere avskåre i fleire veker. Fyrvaktarane måtte proviantere for 6 måneder. På austsida av Svinøya vart det sett opp ei reservelanding med eit mindre naust i betong. Under ein storm på 1960-talet vart skinnegangen, saman med betongfundamentet i heile si lengde slått opp og øydelagt.